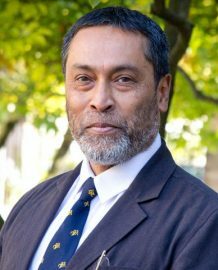 Niels Bohr Professor Subir Sarkar receives the Homi Bhabha Medal and Prize 2017. “My activities in building up astro-particle physics in Denmark have no doubt played a part in this. I am very thankful for the generous support of the DNRF in this regard”, says Professor Sarkar. The award is made bi-annually to an active scientist who has made distinguished contributions in the field of high energy cosmic ray physics and astro-particle physics over an extended academic career.